Definition at line 171 of file ddrawint.h. Definition at line 182 of file ddrawint.h. Definition at line 181 of file ddrawint.h. Definition at line 178 of file ddrawint.h. Definition at line 177 of file ddrawint.h. Definition at line 174 of file ddrawint.h. 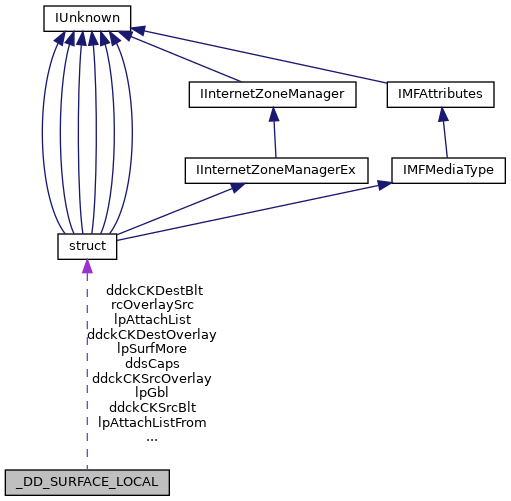 Referenced by bDDCreateSurface(), DdCreateD3DBuffer(), DdCreateSurface(), intDdCreateNewSurfaceObject(), and intDdCreateSurfaceOrBuffer(). Definition at line 173 of file ddrawint.h. Referenced by bDDCreateSurface(), DdCreateD3DBuffer(), and DdCreateSurface(). Definition at line 175 of file ddrawint.h. Definition at line 185 of file ddrawint.h. Definition at line 186 of file ddrawint.h. Definition at line 172 of file ddrawint.h. Definition at line 184 of file ddrawint.h. Definition at line 187 of file ddrawint.h.